What Are Custom Orthotic Devices? A custom orthotic is a device designed to align the foot and ankle into the most anatomically efficient position. They look like insoles, but are biomechanical medical appliances that are custom made to correct your specific foot imbalance. Custom orthotic devices work on your feet much like glasses work on your eyes — they reduce stress and strain on your body by bringing your feet back into proper alignment. The plastic body of the custom orthotic helps to realign the foot by redirecting and reducing certain motion that takes place during the gait cycle. 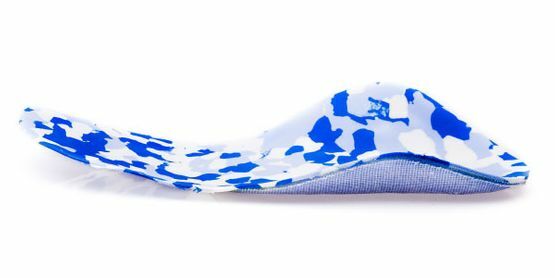 Custom orthotic devices fit into your shoes as comfortably as an insole and they have the advantage of having been made from precise imprints of your feet. Orthotics can be made from a 3D Gaitscan or a 2D foam mould. Please consult the trained physiotherapists at Paradise Physiotherapy for an assessment of your feet and gait. Also, visit the site of our orthotic partner, The Orthotic Group, for more information. 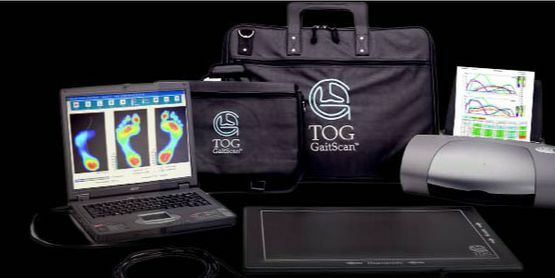 A new, in-depth method of assessing your gait cycle with a dynamic scan gives your health care provider access to a wealth of information that cannot be obtained with the naked eye. Over a million points of data are recorded, tracking minor flaws in your biomechanics and shedding light on issues that, if left untreated, could develop into painful conditions over time. Paradise Physiotherapy is partnered with The Orthotic Group to offer the newest styles and brands in footwear. The collection includes boots, shoes, sandals, safety footwear and everything in between. All footwear is available to view online.